Let's start on the West Coast with the Natural Hair Cruise organized by Showing my Roots, a natural hair meet-up group from San Diego. The five-day excursion will ship out from Long Beach on Monday October 10th and head to Catalina Island and Ensenada, Mexico before before returning to port on October 14th. Attending naturalistas will have the opportunity to learn styling tips, tricks and receive samples from product sponsors. 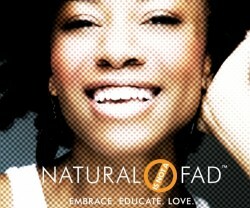 For more information check out the Natural Hair Cruise home page. Taking it to the Capital! On Thursday October 20th, CurlyNikki will be hosting her first NYC meet up sponsored by Mizani. Nikki did an event with Mizani back in June in Orlando which was a grand ol time, so to those who got tickets, you're in luck for a smashing time! Unfortunately, the event is at capacity, but you're invited to join Nikki and blogger LoveBrownSugar for a drink following the event from 10pm until...at Pranna Restaurant. BlackOnyx77 of Youtube will be hosting her annual "Fabulously Unique Natural Hair Affair" event in Tampa Florida on October 22nd. The event will feature vendors, entertainment, discussion panels, education and more. According to Miss BlackOnyx herself the event is truly unique because its "the most divalicious one out there!" For more info visit the event site here. 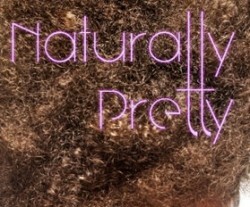 NaturalChica and MimiJOnline will be hosting "NaturallyPretty" on October 27th in Atlanta. 300 attendees will join for an evening hosted by beauty enthusiasts, industry insiders, and design professionals. Key participants include Robin Groover of Too Groovy and Sutera Hair Spa, Yolanda Owens of Iwi Fresh and Pampered Nail and Spa, Nails by Jayh, P3 Lab, and celebrity makeup artists Jeremy Dell and Alexandra Butler. For more information and to buy tickets check out the event site!